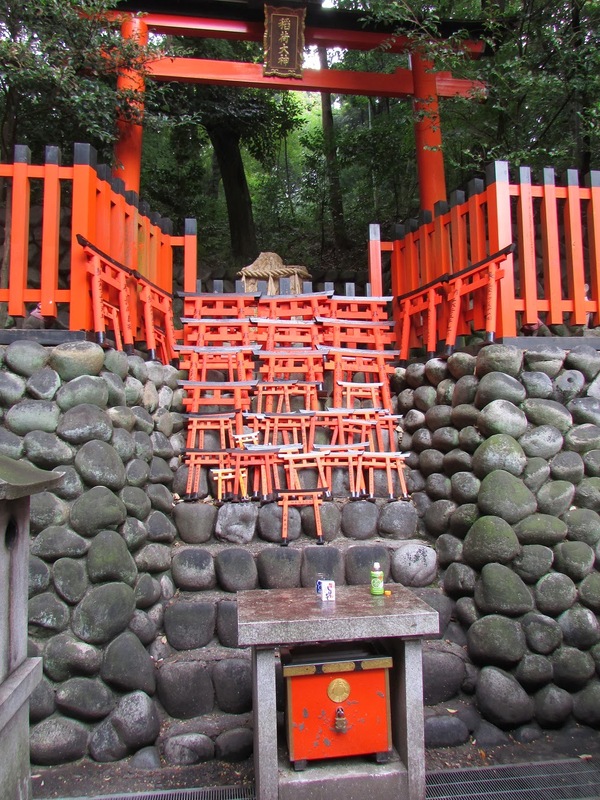 Inari is a popular deity in Japan, with various shrines and temples throughout the country (about 1/3 of all temples are supposedly dedicated to Inari). 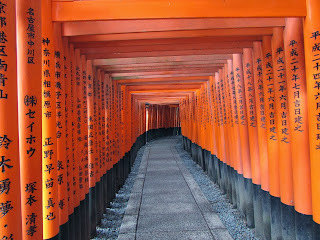 But, perhaps the most well known Inari shrine is the one outside of Kyoto...Fushimi Inari Shrine. The entrances to these shrines are marked by their red gates (torii) and kitsune (or fox) statues. 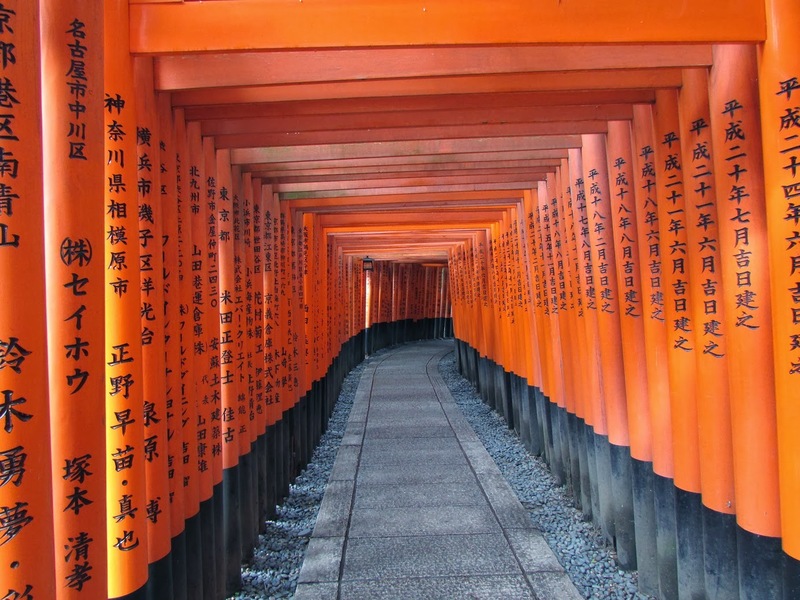 The fox is considered a messenger and the deity Inari is typically associated with the fox. 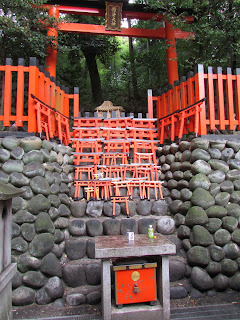 Inari has been variously seen as a patron of blacksmiths, protector of warriors and fishermen, patron of actors and prostitutes and has been invoked for good luck and protection against fire. 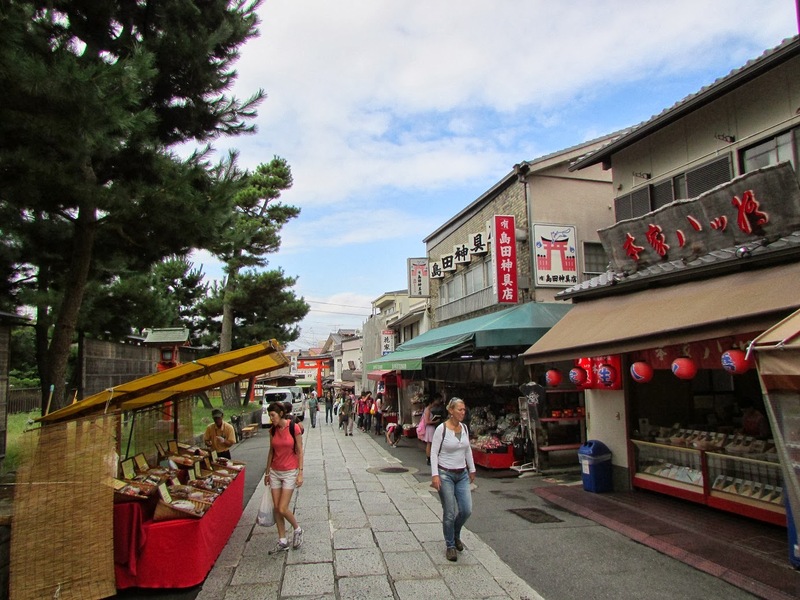 Most prominently, though, Inari is seen as the patron of business and merchants and manufacturers have worshipped Inari. 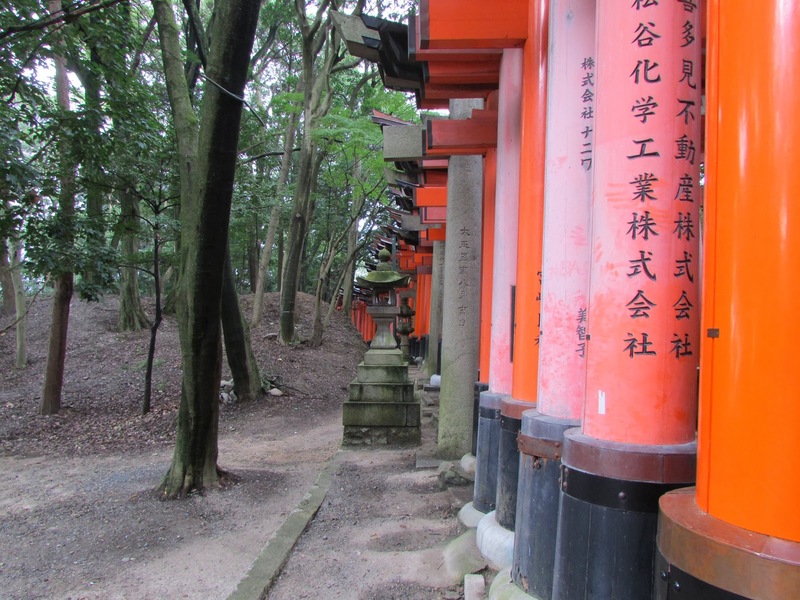 Each torii at Fushini Inari shrine is donated by a business due to this relationship with Inari as the patron of merchants and manufacturers. 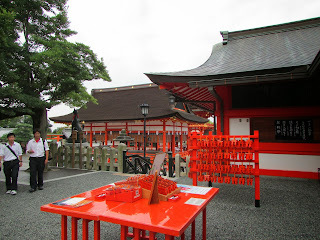 This theme is played out across almost every temple in Japan, with some item being available for a donation as a dedication or wish, for fortune or some specific reason (such as prosperity, protection against illness, luck with exams/schooling, etc.). 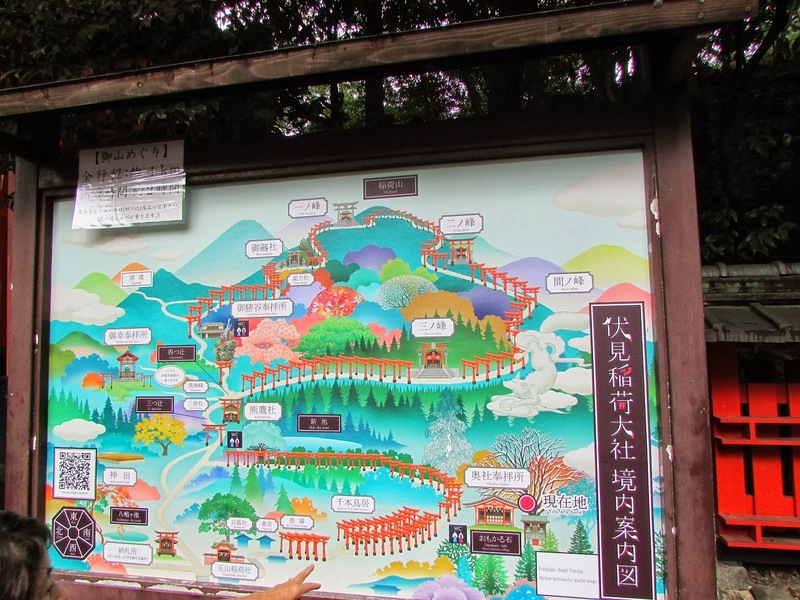 You can see the popularity of the torii for businesses (each of these have the business name/information on it and they are available in various sizes related to the size of the donation). And, for those who can't afford a large torii, you can donate for some good business fortune anyway with these little miniature gates. 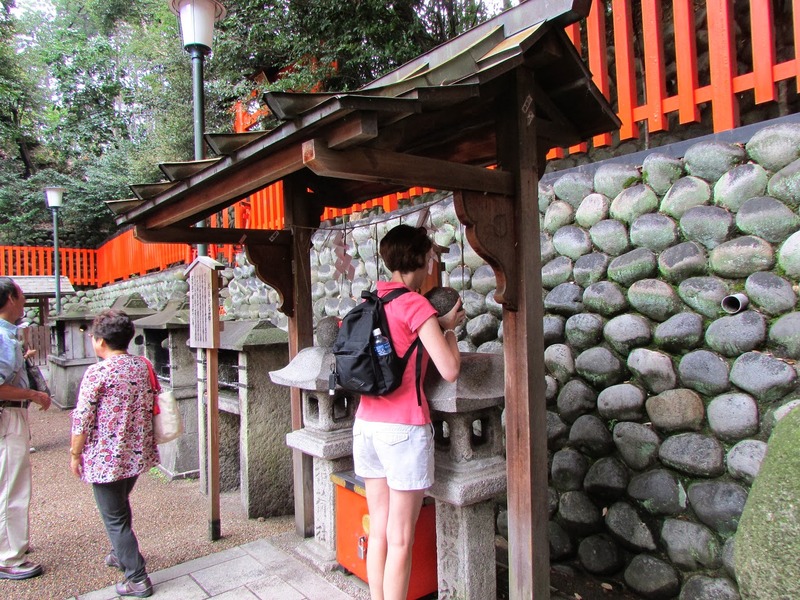 We also took part in the wishing stone ritual. 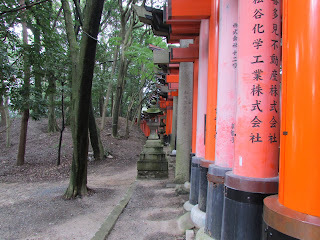 Our guide explained that you stand in front of it and think of your wish/hope/dream. Then you lift the stone...if it is lighter than you thought, your hope will come true. If it feels heavy, it is not meant to be. 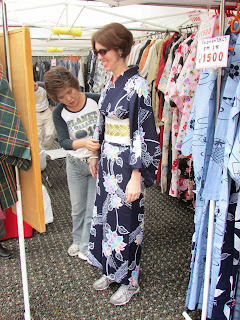 I was able to lift it, but let's just say I'm not too confident about my wish. Interesting little factoid from Wikipedia: "In the approach to the shrine are a number of sweet shops selling tsujiura senbei, a form of fortune cookies dating at least to the 19th century, and which are believed by some to be the origin of the Chinese-American fortune cookie". If you'd like to read more on the continued mysterious origins of the fortune cookie (and other interesting information about Chinese food in America), I really enjoyed the book The Fortune Cookie Chronicles by Jennifer Lee. 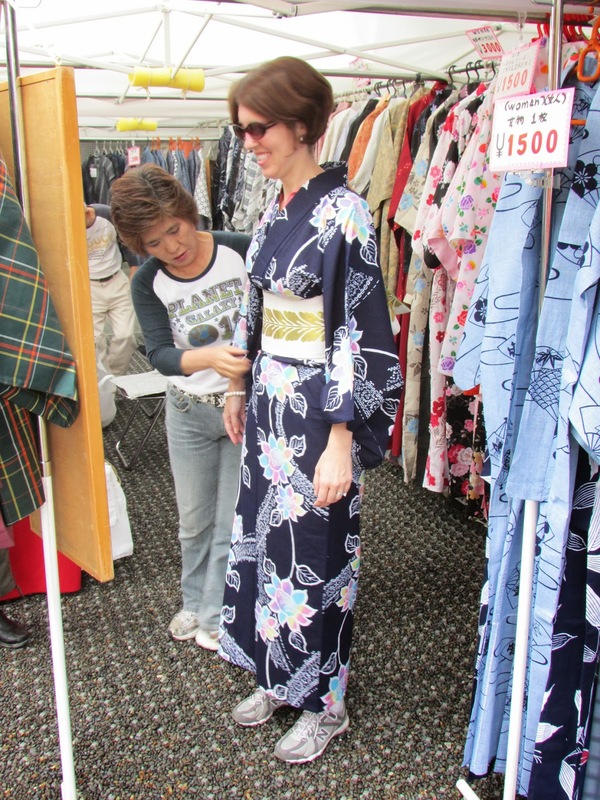 I browsed along the streets but I hadn't read Wikipedia beforehand, so I didn't know that I should have been making a purchase! 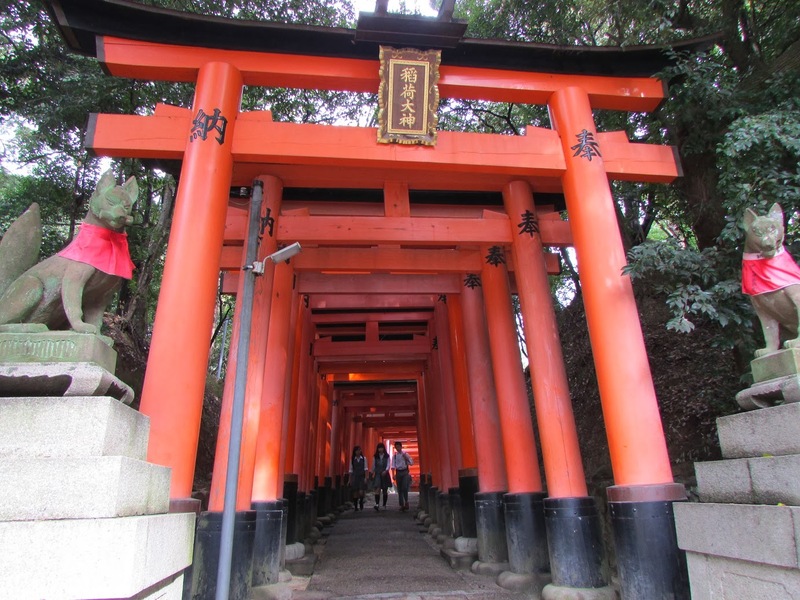 Fushimi Inari shrine is just a short train ride from Kyoto, and the shrine can be reached in a five minute walk from the Inari train station (JR line). The little streets surrounding the shrine are worth a few minutes to browse and you can spend more or less time at the shrine depending on if you want to get some more vigorous hiking in or just get a feel for the unique mass of red gates.